This month we are sending out both the September and the August news updates since we were outside of Mexico much of August and were visiting with many of you. Although there was not much news for that month, we did want to update you on what you may not have known. September has been a very exciting month here in Leon as we finally get back in gear with life following a craz y summer and equally crazy survey trip to the States. 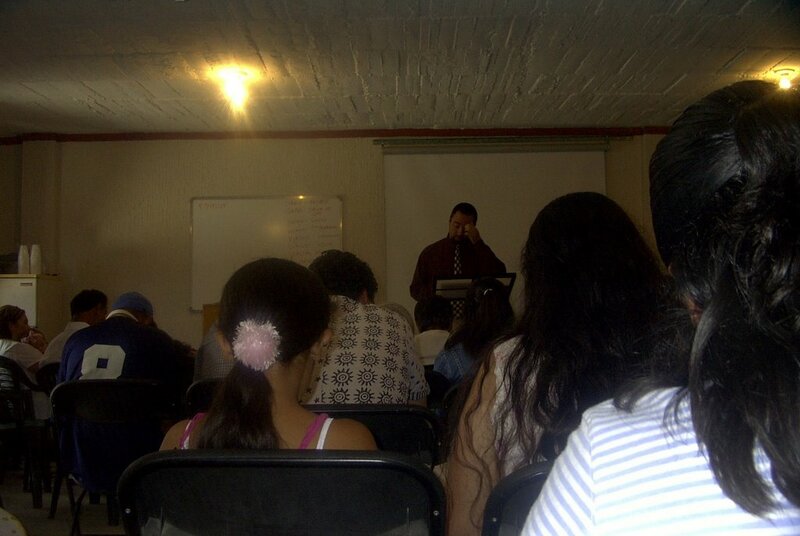 Ministry has been very productive with several baptisms this month including those of Moises (an English teacher), Susana and her mother also named Susana (both very godly servants who have been attending worship here for a few months), and Yolanda (a contact made by one of our Mexican leaders in the church). I personally have been amazed to see a lot of good fruit coming our way these last few months and know that such fruit is the result of lots of hard toil. As we have toiled the field here in Leon these last couple of years by making many many contacts, by working multiple small groups throughout the week, by struggling through language learning and sermon preparation, and by maintaining all of the various aspects of “church” here in Mexico, we have finally begun to observe a harvest in the form of baptisms. Missions definitely is a multifaceted beast with many heads, thus requiring different types of workers and many forms of work. It is a blessing to know that God uses many parts of his body to accomplish his singular task. And yes, it is nice to see fruit coming from that toil. The fruit in Mexico however comes in more ways than just baptisms as we have seen. Jessica and I are blessed to be starting up our second small group throughout the week. This is a double blessing in the fact that we had believed that we might be replacing one group for another one. Still, after weeks of debate, prayer, and discussion, it looks like we will remain in our small group with the Villalobos family on Thursday, while having a new Monday night group as well. 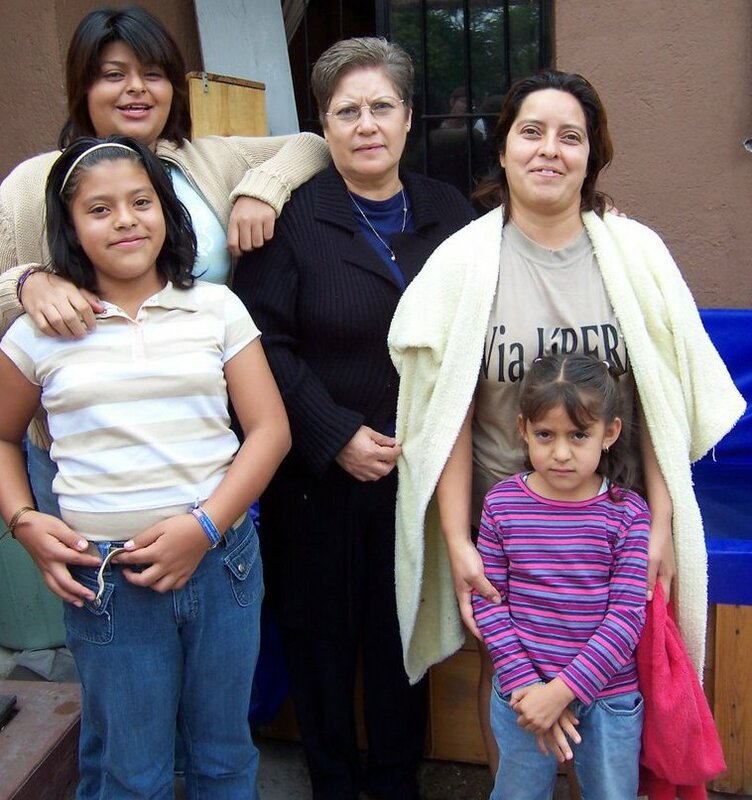 Another way that the fruit of missions in Leon has been blessed is that leadership is gradually changing hands from the missionaries to the Mexicans. We are currently in plans to transition the Mexicans over in power both in decision-making and in responsibility. This will be accomplished by establishing “men’s meetings” and by mentoring leaders into their various roles. Really, this is the ultimate goal of the work in Leon, that the Mexicans become capable of running with the work once the Americans leave. We feel that the time to begin this transition has arrived. Thus, by mid-November, decisions of the body will be made by the congregation’s leadership (which will include Mexican and missionary leaders). We feel it will be very productive for the congregation by not having the three missionaries making all of the decisions for the body. Finally, September has been filled with several possibilities for the future that we are very excited to report. We have been blessed over the last two years to see pockets of growth within the city of Leon that are not directly connected in or around the location of our church building. On both the western and eastern most sides of the city we have discovered communities of people interested in joining our work. However, although they desire working with us, they are at the same time living so far away that travel towards our building is not always possible. This has caused us to begin considering where and how we could possibly begin a second church plant. Right now one option on the eastern side of town looks very possible and is being considered. Since our vision is to be a congregation that plants congregations, we feel a second church plant is very much inline with our work. Please pray for our decisions as we consider many alternatives to extending our work at this point. August was a very productive month for Jessica and I. Our “tripometer” on the car read 4,000 miles by the end of the month, which sums up well what took place during August. For the few of you who may not know, Jessica and I wen t back to the States in August for 3 weeks to visit supporters and see family. The journey began by taking us from Mexico to Colorado where we spent a few days with Jessica’s family and visited her hometown congregation of Southwest. Then we were back in the car and off to Guymon Oklahoma where I preached and taught Bible class. Next it was Pampa, Texas where my parents live and where I presented our work to the elders. From Pampa we drove to Amarillo and were able to touch base with one of our supporters and speak about our building plans. Following a couple of days in the Texas panhandle, we swung out to Abilene to be with our collecting congregation, where I preached on Sunday morning and then raced off to Sudan for Sunday night and another bit of preaching. After two days in Lubbock with my sister, we drove down to Gatesville in the heart of Texas, where I taught Bible class. Finally it was a quick drive out to Houston so that I could present our future plans to our elders their and then preach on Sunday. Once all of the preaching was concluded we were able to see Jessica’s sister in San Antonio before our drive across Mexico. Clearly, this was a lot of driving and preaching over a three-week period. I ended up getting to share our story in front of 5 di fferent congregations and in 3 different meetings with elders and mission leaders. Since I believe there are some very exciting things going on in Leon, it is a fairly easy task. Still, it’s always a blessing to take a long trip without having car problems along the way. Also, it is a blessing to see renewed commitment by partners willing to assist in accomplishing the task of building up the body in Leon. God really did bless us! Thank you for your prayers. While we were gone to the States, we were blessed to watch the work grow in our absence. 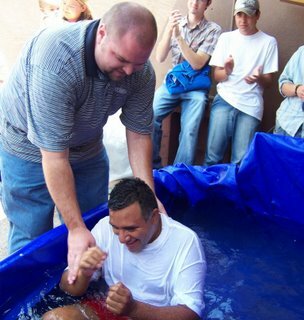 There were three baptisms when we left Mexico those 3 weeks, and our partners did a great job picking up pieces that had been vacant during our absence. Thank you for your continued partnership in the Leon work. 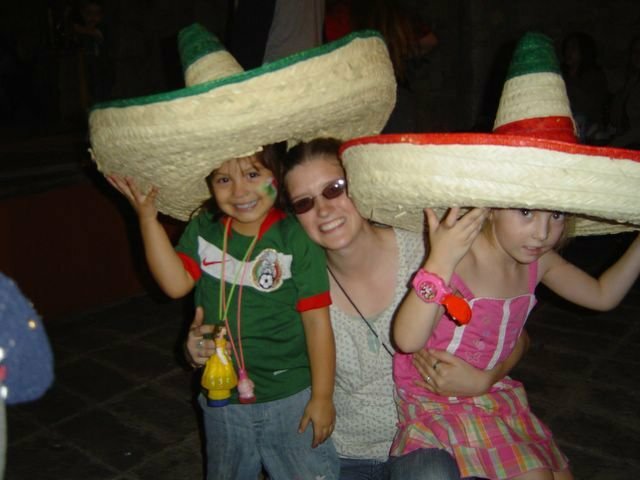 Because of you, Jessica and I are able to continue working here in Mexico without worry of financial instability. Your service really does assist us greatly. As always, please keep the Leon work in your prayers as we cannot reach our potential without the constant petitions of our Christian brothers.